When we talk about iconic packaging, we most often mean the box or container a product comes in. But the way the product itself is handled, bundled and presented, is arguably packaging as well. Barbie, a brand beloved the world over, has always had competent packaging. But their focus on the presentation of the dolls inside is what really sets them apart. Let’s take a look at the world of Barbie, and the choices that make the packaging, the dolls and the brand itself worthy of the iconic packaging moniker. Mattel was founded in 1945 by Harold Matson and Elliot Handler. Due to health issues, Matson sold his stake in the company to Handler in 1947, who brought on his wife, Ruth, in Matson’s place. Toys such as the Uke-A-Doodle and sponsorship of the Mickey Mouse Club series put Mattel on the map, prepping it for Ruth Handler’s amazing decision. In 1959, Ruth witnessed her daughter, Barbara, ignore her collection of baby dolls in favor of playing with a set of paper-based dolls. Seeing how Barbara personified them, Ruth decided it was time Mattel created something girls would play with. Looking for inspiration, she came across Bild Lilli, a doll based off a German comic strip character. Using her as a template seemed like a risk, as Lilli had a reputation as a racy gag gift sold to adult men. However, upon discovering how much children loved the doll anyway, Mattel bought the rights to Lilli and made their own version. Enter Barbie. Ruth named Barbie, whose full name is Barbara Millicent Roberts, after her daughter. 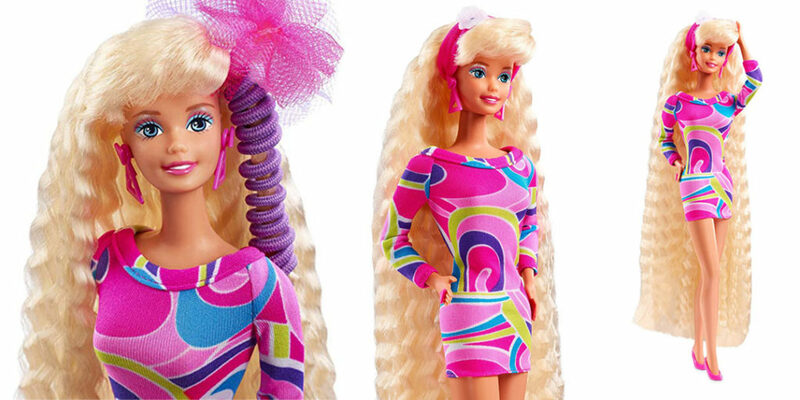 Given a fashionable hairstyle and plenty of accessories, Barbie was created to be a confident, independent character. And she was an instant hit. So much so that demand for a companion reached a fever pitch, and soon Ken (named after Ruth’s son) was introduced to be her long-running boyfriend. In the 6 decades since her initial debut, Barbie products have sold over a billion products in over 150 countries. Not too shabby for a line of dolls, huh? It’s a fact that never fails to surprise—Totally Hair Barbie is the world’s best-selling Barbie doll. Released in 1992 and having sold over 10 million units, her popularity comes from her hair, which is so long it’s perfect for being styled in arguably endless ways. Even today, with multiple product lines, cross-promotions and special editions, she’s still consistently among the best-selling Barbie dolls. For her 15th anniversary in 2017, she was released in special commemorative packaging that sells for an impressive amount on online auction sites. Every year, when Christmastime rolls around, fans clamor for the arrival of the newest Holiday Barbie. And every year, she never fails to impress. Dressed in a full-length ball gown, her dress is by turns intricate and stunning, and either meant to match a specific theme, or created by a real-life fashion designer. 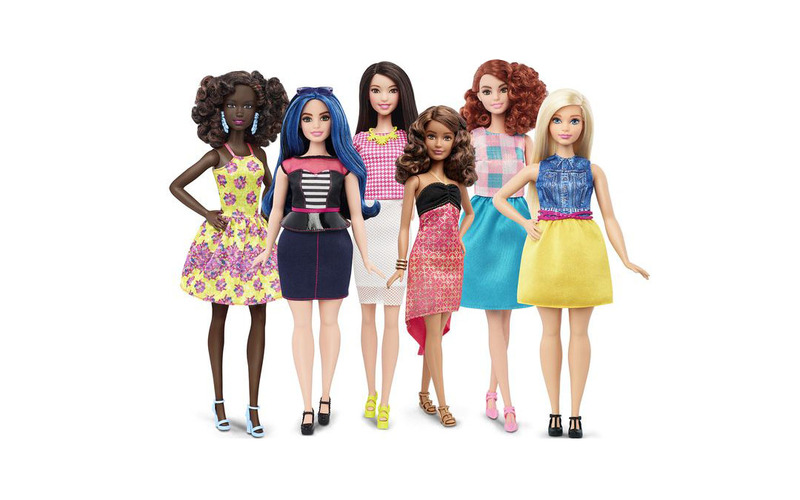 In recent years, the Holiday Barbie lineup has released multiple versions at the same time, each with a different skin tone and ethnicity. And as you can see by the picture above, the packaging always conveys something wonderful and romantic about the Holiday Ball she’s attending. As our society finally turns a more attentive eye to diversity, exclusivity and practicality, the Barbie brand has found itself falling behind. 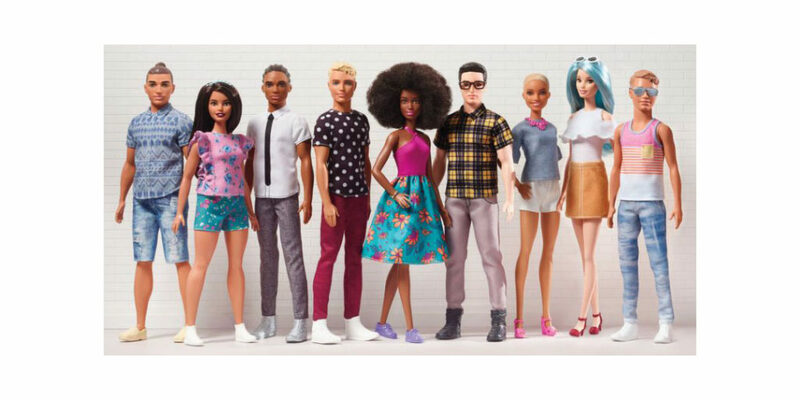 Mattel has long taken heat for Barbie not fully recognizing the ethnic backgrounds and lifestyles of the girls (and boys) that love the brand. Project Dawn, an initiative founded by Mattel, set out to fix this. 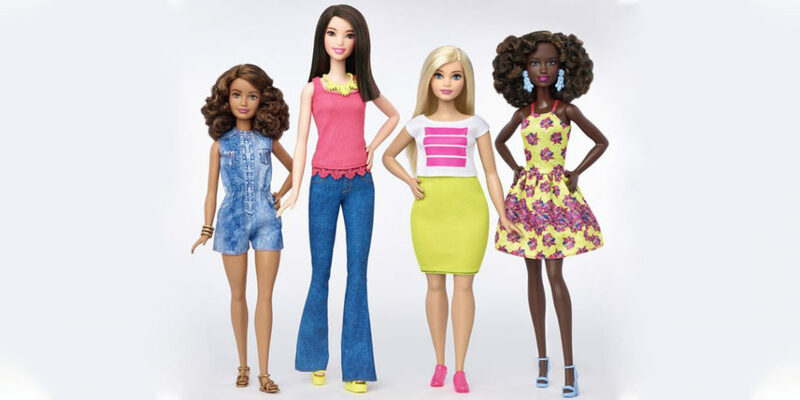 Spending 2 years developing alternatives to the classic Barbie shape (whose proportions on a real woman would prevent her from lifting her head, and force her to walk on all fours), Mattel created 3 new body styles for future Barbie dolls. Petite Barbie is shorter than the original (but not any skinnier), Curvy Barbie has a tummy and hips that protrude, while Tall Barbie is exactly as she sounds. 7 skin tones, 22 eye colors and 24 hairstyles were added to better represent global ethnicities, along with more practical and aspirational jobs. Barbie now has careers as a veterinarian, astrophysicist and more, instead of being seen as just a real housewife. This new lineup has been christened Fashionistas. By the way, Ken hasn’t been left behind, either. In addition to his current build, both slim and broad options are available, along with 7 new skin tones and 9 new hairstyles. 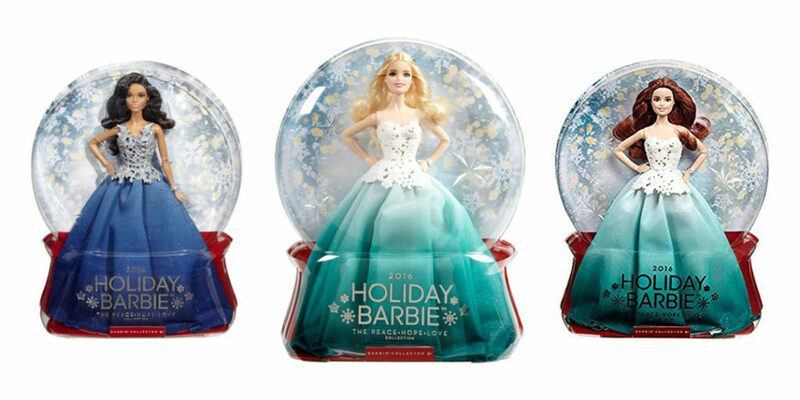 Barbie recently added a line of ‘Sheroes’ to her family. Based off inspirational women, they’re meant to show girls and boys how much they can accomplish if they apply themselves and work for what they want. Ibtihaj Muhammad, saber fencer on the U.S. fencing team, has become one of the most sought-after Sheroes. Growing up, Ibtihaj’s parents sought to find her a sport that would suit her competitive nature while allowing her to still be fully covered in accordance with her faith. Fencing proved to be the sport for her, and she excelled up into the professional league. She’s now the first female Muslim-American fencing champion to wear a hijab in competition. Her doll, wonderfully sculpted after her likeness, is fully poseable and comes wearing a full Nike fencing uniform, including her hijab. The ‘Sheroes’ line, and so many other Barbie lines, don’t end there. Recent and popular dolls include a Drag Queen Barbie, and Ella the ‘Chemo Barbie’. Their newfound commitment to representation and practicality has certainly earned them the right to be called iconic. What brands or products do you think are worthy of the iconic packaging title? Be sure to let us know on social media or comment below. We’d love to showcase the packaging that’s near and dear to you.